In 1970, 23 year-old college dropout Willie Traynor bought The Ford County Times when it went bankrupt. The future of the paper looked grim until a young mother was brutally raped and murdered by a member of the notorious Padgitt family. Willie Traynor reported all the gruesome details, and his newspaper began to prosper. Danny Padgitt, was tried before a packed courthouse and threatened revenge against the jurors if they convicted him. They found him guilty, and he was sentenced to life in prison. But in Mississippi in 1970, "life" didn't necessarily mean "life," and nine years later Danny Padgitt is paroled... and the retribution began. 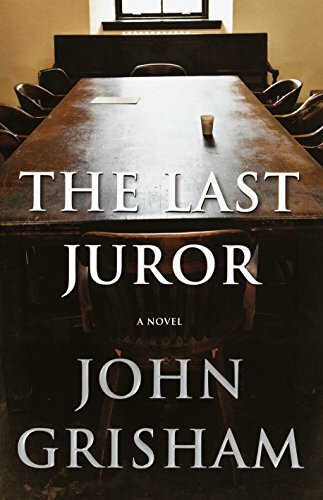 One by one the jurors begin to die. Read the book, see the movie in a couple of years. BUY THIS BOOK! Here's where I get to look like a moron: Two years ago a producer sent me a copy of ANGELS & DEMONS and asked if I would be interested in adapting it. I read the book, told the producer I didn't think it would work well as a movie because it had *two* plots. At that time, nobody knew who Dan Brown was... Now he's a huge best selling author! Brown's latest thriller is an exhaustively researched page-turner about secret religious societies, ancient coverups and savage vengeance. The action kicks off in modern-day Paris with the murder of the Louvre's chief curator, whose body is found laid out in symbolic repose at the foot of the Mona Lisa. Seizing control of the case are Sophie Neveu, a lovely French police cryptologist, and Harvard symbol expert Robert Langdon (from A&D). Brown's hero and heroine embark on a lofty and intriguing exploration of some of Western culture's greatest mysteries--from the nature of the Mona Lisa's smile to the secret of the Holy Grail. Who knew history could be this fun? BUY THIS BOOK! 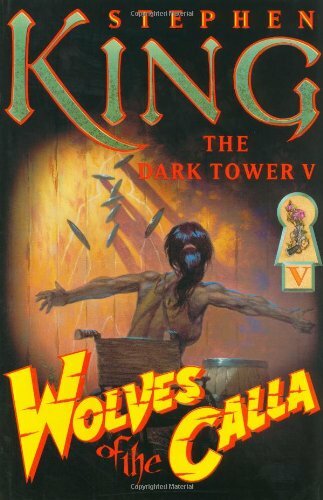 In this long-awaited fifth novel in the saga, gunslingers Roland, Eddie, Susannah, Jake and their talking pet "billy-bumbler" Oy continue their quest to prevent the destruction of the Dark Tower and, consequently, save all worlds from Chaos and the Crimson King's evil, red-eyed glare. Roland and his posse learn that every 20-odd years the "Wolves" kidnap one child from each set of the Calla's twins, bring them to the Tower and, weeks later, send them back mentally and physically impaired. The fifth novel contains ties to King's SALEM'S LOT and many of his other novels. BUY THIS BOOK!